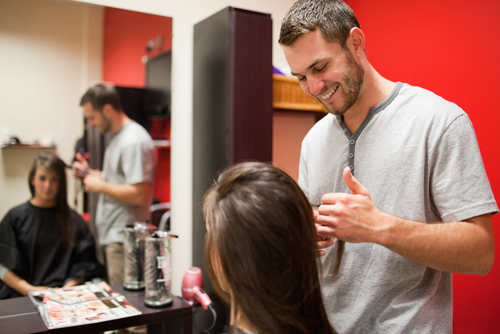 8 Things You Should NOT Do While Getting A Haircut! 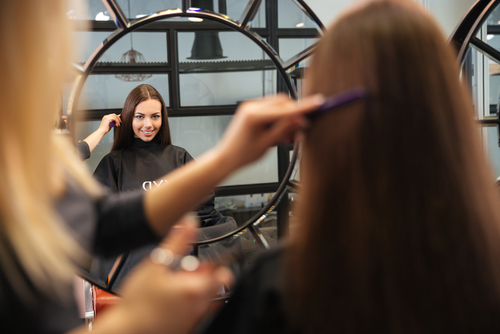 Getting a great haircut can make you look and feel fabulous, amazing and empowered. You know it! But ending up with a bad haircut can seriously crumble your self-confidence and leave you unhappy for days. No girl wants to end up with consecutive bad hair days for weeks! 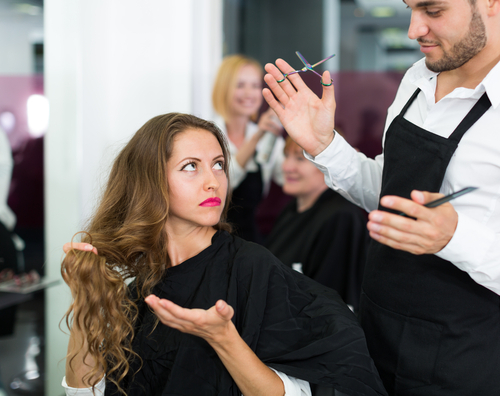 *Shudder* To avoid such a disaster, here are a few things you should NEVER do during a haircut. Keep these in mind and you could end up with a haircut you love, every time. So you’re inspired by your fave celeb and want your hair to look like hers. But please know that celebs have stylists that spend hours on their hair daily and they also have extensions in their hair a lot of times. 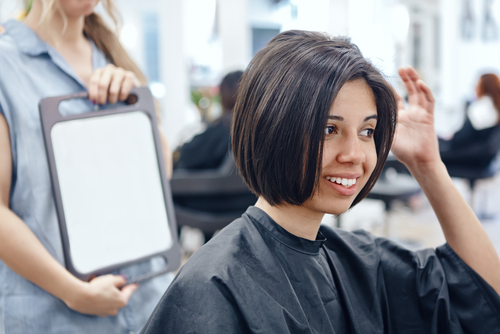 Since you don’t have an army of professionals to get you ready every single day, you may want to talk to your stylist about a cut and style that is more practical and manageable. Snapchat and Whatsapp can wait, it’s important to ignore your cellphone for those few minutes when you’re in the stylist’s chair. Not only is it rude, but you generally have to keep your head straight during a haircut or as instructed by your stylist. Staring into your phone or yacking away into it means your head will be tilted downwards, which could lead to mistakes while cutting your hair and uneven lengths. You really don’t want that, right? Also read: 7 Easy Ways To Get Gorgeous Hair Without *Expensive* Products! Your hair may curl up weirdly in the front on one side so you can’t go too short and sure you’ve been going to the same stylist for ages, but you shouldn’t expect him or her to remember all this. It’s always safer to remind your stylist about such things. They see loads of clients every single day, so it’s unfair to expect them to remember these little details. Even if you’re a super chilled person, do not give your stylist full control and leave it all up to them. Yes, they know the best about cuts and styles but you know your hair better than anyone. What if you don’t like what you end up with and are stuck with a length you’re not happy with? Let them know the length you prefer, whether you like a lot of layers or like them minimal, are you ready to maintain bangs, etc. Who doesn’t love a bit of spontaneity? But when it comes to your mane, it’s always better to think things through. Don’t trade your waist-length locks for a pixie cut unless you’ve actually thought about it and considered it much before you stepped into the salon. Yes, hair grows back but it takes time. Of course you could end up loving your spur of the moment haircut, but if you hate it, it’s a totally different story. Sure your current haircut do work for you and looks great, but if you’ve had the same style for years, you definitely want to switch things up. Everyone should change their style every now and then, even if it’s just by adding a few more layers or getting bangs. How else can you explore new styles that could look amazing on you? Also read: 10 Shampoos That Will Make You Hair Smell AMAZING! If you’ve always been a wash-and-go kind of girl or have a super hectic schedule, then getting Jennifer Aniston-esque layers may not be a good idea. Instead, a cut that looks great undone and textured is what you should ask for and will work for you better. 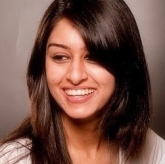 Whereas, if you always find enough time to style your locks to perfection then definitely get those glorious layers. It’s important to let your stylist know whether you love or hate your new style. Don’t stay quiet, they would love your feedback too. If you’re unsure after the first snip, definitely say something so you don’t end up with a cut you hate. After all, they pride themselves in happy clients too.